The new generation of avid technology-users has largely impacted the field of journalism. Newspaper printing is on the decline, as many publications now resort to electronic means to meet the needs of their audiences. At the Michigan Review, we find ourselves in a similar predicament. We have increasingly resorted to digital articles and content, though we continue to publish monthly print editions. 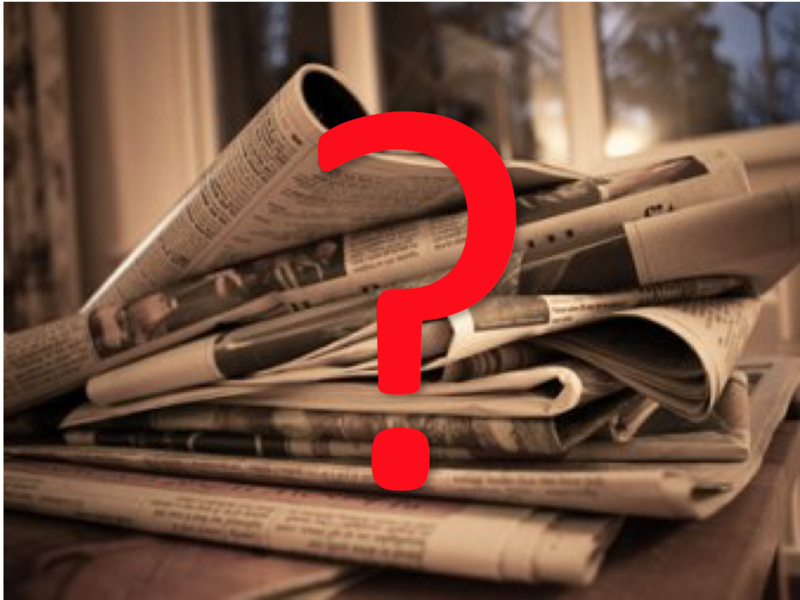 A recent statement by the Editor-in-Chief spurred debate on this dilemma: “No one reads newspapers in print anymore.” If this statement holds true, should the Review forego printing and shift completely to electronic publication? Our staff remains fairly split on this topic. Online newspapers are convenient assets to our fast-paced lifestyles, as consumers can electronically search for a particular article or category of interest. Digitization allows for the publication of more frequent articles that are longer in length, as electronic space is seemingly endless. At the Review, eight printed pages can be difficult to produce. Often, many articles are cut from printing. Our website, however, acts as a convenient database for all content. Additionally, non-front page stories gain popularity that may have gone unnoticed in the paper format. The shift to digital allows for electronic sharing that is infeasible through solely print. At the Review, some of our most popular pieces gained fame and attention online. Many new readers and writers discovered the Review through our online presence. Therefore, the question remains, why continue to print? Despite the positive attributes of digitization, printed copies also have their advantages. Rather than search through an overflowing array of digital articles, one may trust the printed newspaper as a critical source of necessary stories or topics. The printed edition continues to offer a primary source of content for those who are not technology-savvy, or who prefer to read an “old-fashioned” physical copy. Printed newspapers have existed for centuries, and to some, the absence of physical newspapers seems wrong. In our case, if we wish to be recognized as one of the University’s longstanding publications, the physical disappearance of the Review from the University’s news stands could be detrimental. There exist credible points to each argument. While no final decision has been made, the Review will take a temporary break from printing this semester. We look to our readers for input and support. Should the Review resort to electronic as the primary source of content, or continue to print?